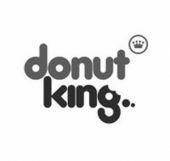 Donut King are known for their famous, fresh Cinnamon Donuts. But they ‘donut’ just do donuts! They also do delicious Hot Dogs, refreshing Shakes, Royal Bean Coffee or any Donut from their extensive range. No wonder Donut King has become Australia’s favourite fun treat destination.